Research findings for surname: Depriest of Amherst County, Virginia, for the period of 1761 – 1791. This information was extracted from various sources available at the LDS Family History Library, Salt Lake City, Utah. 10 June 1761 James Woods, Amherst farmer, to Samuel Woods, storekeeper 100 pounds, 350 acres North side North branch of Mecham, adjoining Thomas Reid, Robert Anderson, Henry Kerr, John Cowan, William Settles. Witness: William Forbes, John Depriest, Spencer Reffield. 11 Aug 1765 John Depriest to James Hulsey for 10 pounds 89 acres both sides Pounder Branch. Lines: James Martin. Witness: Francis Meriwether, David Martin, Samuel Caldwell, David Meriwether, Joseph Smith. 17 Mar 1767 Thomas Mann Randolph and wife, Anne, Goochland, to John Depriest – consideration of 270 acres in AC, have sold 265 acres pat and lying in AC, on head of North fork of Nassau Creek at a place called Indian Cove. Witness: Charles Ballow, William Kitchen, Thomas Hooper, Samuel Jordan, Joseph Cabell, William Cabell Jr.
3 Aug 1767 John Dennee and wife, Elizabeth, to John Depriest for 35 pounds, 200 acres branch of Rucker’s Run. Lines: Col. Lomax. Signed by John Dennee and wife Elizabeth. 3 Aug 1767 Jonh Depriest to Robert Donalds & Co. 25 pounds, 200 acres branch of Rucker’s Run, part of larger tract patented to John Denney and which Depriest bought from Denny. Lines: Col. Lomax. Witness: William Mitchell, Charles Rose, Thomas Reid, Hector McAlester. 3 Sep 1767 John Depriest to Abraham Warwick for 14 pounds, 73 acres on South fork of Nassau Creek. Lines: Lomax. 4 Jul 1768 John Depriest and wife, Elizabeth, to William Martin, for 99 pounds, 200 acres at the head of North fork of Nassau Creek at Indian Cove. Witness: John Griffin, Zachariah Jones. 13 Jun 1769 John Denne and wife Elizabeth, Rowan NC, to John Griffin for 16 pounds, 90 acres on Rucker’s Run. Lines: Col Lomax. Witness: James Denney, John Loving Jr, , John Depriest. 15 Jun 1769 John Dennee and wife, Elizabeth, Rowan Co, NC to John Thurmond – rent moving and 35 pounds, 50 acres on branch of Dutch. Lines: Samuel Staples, John Hunter, North side of Dutch. Witness: John Depriest, Samuel Staples, James Dennee. 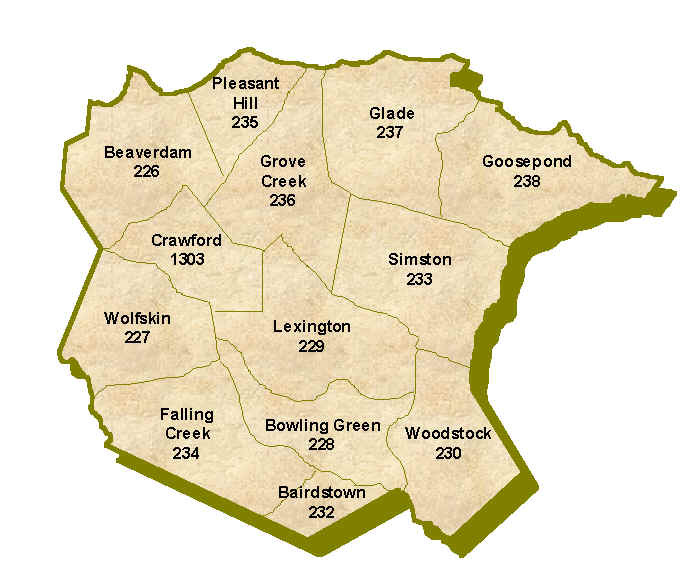 22 Oct 1771 Thomas Lomax, Caroline Co, to John Depriest for 70 pounds, 1054 acres. Lines: Harmen, Lomax, Purvis, Stephens, Furbish. Witness: Zachariah Taliaferro, John Rose, George Purvis. 1 Jun 1772 John Depriest, and wife, Elizabeth, to William Loving for 25 pounds, 169 acres branch of Rucker’s Run and joining William Loving. Lines: George Purvis, James Stephens, part of land Depriest bought from Thomas Lomax. 1 Jun 1772 John Depriest and wife, Elizabeth to Abraham Warwick for 76 pounds, 382 acres branches of Horsley. Lines: Harmer, Furbush, Mills, Lomax. Part of 6134 acres conveyed to Lunsford Lomax, Sr and wife Judith to Lunsford Lomax, Jr.
1 Jun 1772 John Depriest and wife, Elizabeth, to William Crisp for 65 pounds, 200 acres branch of Rucker’s Run. Lines: Col. Lomax. 18 Apr 1774 John Griffin to John Depriest – no sum. Witness: John Dickinson, Reuben Griffin. 3 Mar 1777 John Depriest and wife, Elizabeth to John Staples for 58 pounds, 196 ½ acres on branch of Rucker’s Run. Lines: Abraham Warwick, Thomas Hawkins, William Forbush. Part of tract Depriest bought of Thomas Lomax. 2 Mar 1778 John Depriest and wife, Elizabeth to Josias Wood for 200 acres, 305 acres. Lines: Samuel Staples, William Loving. 18 Oct 1778 Thomas Mann Randolph, Goochland, to Peterfield Trent, Chesterfield, for 3750 pounds, 2790 acres. 2500 acres of it patented in name of Randolph, Harmer, and King. 120 acres of it patented in name of John Depriest. 50 acres of it pat in name of James Mcguire. Lines: John Rose, Robert Barnett, and where William Britt now lives as my overseer. Witness: Thomas Randolph, Peyton Randolph, Mary Cary, Thomas Anderson, Gabriel Penn, William Cabell. 25 Dec 1779 Abraham Warwick and wife, Amy, to John Bibb for 1500 pounds, 382 acres on N branch of Rucker’s Run. Warwick bought it from John Depriest 1 Jun 1772. Witness: Jesse Martin, Micajah Becknall. 14 May 1783 John Depriest and wife, Elizabeth to William Powell for 30,000 pounds tobacco, 400 acres both sides Rucker’s Run, south fork. Lines: Edmond Wilcox, Lucas Powell, James Wills, James Thompson, William Cabell, sold by David Shepard to Depriest. Sold by Depriest to Robert Harris and by Harris to Powell. Witness: Thomas Powell, Abram Warwick, William Warwick, Charles Stewart. 5 Jul 1784 John Montgomery and wife, Jane, to John Depriest for 700 pounds, 252 acres head of one of branches of Rucker’s Run. Line of Tuggle. Conveyed to grantor by Lunsford Lomax Jr. 3 Oct 1768. 24 Feb 1785 John Depriest and wife, Elizabeth, to William Depriest, Henrico, for 250 pounds, 252 acres in Amherst Parish. Witness: John Montgomery, Jesse Cardin, Edward Houchins. 2 Jul 1787 William Powell and wife, Mary, to James Wills, for 225 pounds, 611 acres. 1): 400 acres. Lines: Edmond Wilcox, Lucas Powell, patent line, North branch of Rucker’s Run, granted to John Depriest 1 Sep 1782. 2): 136 acres. Lines: James Wills, patent to William Powell 2 Dec 1785. 3): 75 acres. Lines: Lucas Powell. Given by Lucas Powell to William Powell by deed of gift this day. 1 Jan 1790 William and Joseph Cabell to Sherod Martin for 27 pounds, 547 acres North branch Rockfish. Lines: His own, John Burger, Richard Richardson, the county, Nathaniel Harlow, Samuel Woods’ orphans, John Depriest, Azariah Martin, John Smith, John Shields Jr.
20 Oct 1791 Archibald, George and Audrey Campbell and John Depriest to John Henderson for 20 pounds, 100 acres head branches of Rockfish, part of tract of George Campbell deceased, and held by John Henderson in right of wife’s dower, all grantors’ interest at death of Margaret, wife of John Henderson. Witness: Joseph Thompson, William Kyle, John Thompson, James Anderson. Wish I had run across this 30 years ago, it would have saved me diggin’ out all the deeds. To which Depriest in Amherst Co. do you connect? Langsdon, William or John? I’m descended from John’s brother William who died in 1768 in Maryland leaving a letter stating that his brother John lived in Amherst. Thank you for visiting. We’re not certain of the connection between Reid/Reed/Reedes and Depriests. Our particular line comes through Jacob Reed (Reede) who married Elizabeth (Mary) Staton 30 May 1792 in Amherst County. We’ve posted our research records collected for all the individual surnames we’ve observed in that area and time period in hopes that we would connect with someone who could help us determine who Jacob and Mary’s parents were for certain. We know that Elizabeth Mary Staton’s father was William Staton, but we’re not certain who her mother was. We have determined that she is not the daughter of the William and Lucy Staton, who were prominent in the area in that day. If you have any insight, we would appreciate hearing from you. In trying to sort out the Depriests in Amherst Co. prior to 1800, it seems that John Depriest whose wife was Elizabeth was the son of William and Judith Depriest of Goochland Co., VA. John moved ca 1785 from Amherst to Campbell Co., VA. His descendants use the variation “Dupriest”. The other two Depriests (Langsdon and William) were brothers and cousins to John above. The only child who’s definitely tied to Langsdon was a Thomas Depriest although there must have been more. Langsdon’s wife’s name was Ann as was the wife of William. William d. 1784 in Amherst Co. and we know that he had a son John who married Ruth Campbell and a daughter Ann who married George Campbell. There were possibly other children. Ruth, w/o John died in Amherst Co. and by 1800 John was in Madison Co. VA/KY where he married Jane Elliott. Maiden names of both William and Langsdon are not confirmed although evidence tends to indicate that William’s wife Ann was possibly Ann Eliott. It is also possible that Langsdon’s wife was Ann Clark. The names John, Randolph, William and Robert crop up in almost every generation of Depriests. So, Jackie, it’s possible that your gggrandmother belonged to a John Depriest although neither of the John Depriests listed in the deeds above and in this reply. John who went to Campbell Co. died in 1799 leaving a will. 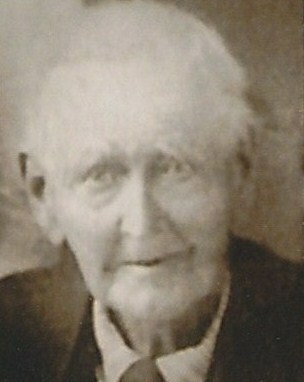 The younger John, s/o William, migrated through KY to Gibson Co., IN.